Ancient sea-floor dwellers are providing new clues about how mass extinctions steer life's evolutionary history, according to scientists. 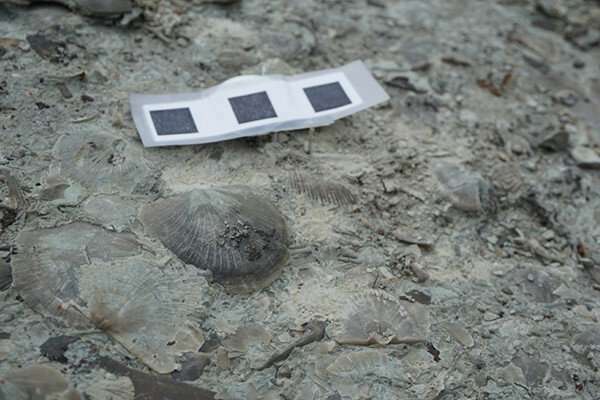 Researchers at Penn State found the recovery period following the second largest extinction on record, some 444 million years ago, had a bigger evolutionary impact than the extinction event itself on brachiopods, shelled, clam-like animals that once dominated the sea floor. The brachiopods survived the Late Ordovician mass extinction with enough diversity to recover, but only certain members of the order were able to rebound, the scientists said. The findings, published in the journal Paleobiology, indicate recovery periods may be as important as extinctions themselves in determining long-term evolutionary trajectories and deserve further study, researchers said. "If we want to accurately understand how mass extinction affects the history of life, especially in regard to developing predictions for the future, we must expand our examination of recovery intervals," said Judith Sclafani, a graduate student in geosciences at Penn State and lead author of the study. Research has typically focused on selective extinction—the idea that removing a major limb from the tree of life leaves room for new branches to grow. The classic example is the extinction event that wiped out the dinosaurs and allowed mammals to increase in diversity and ecological importance, the researchers said. "This study shows a very different pattern for the Late Ordovician mass extinction," said Mark Patzkowsky, professor of geosciences at Penn State and Sclafani's adviser. Unlike the dinosaur extinction, the Late Ordovician event removed members of the brachiopod order randomly, preserving the basic outline of the evolutionary tree. "Our study showed that the Late Ordovician trimmed the evolutionary tree randomly, meaning many small branches were eliminated from across the tree," Patzkowsky said. "But the recovery was still concentrated in a specific portion of the tree. It did not recover evenly. This is a fascinating pattern that no one had shown before." Researchers said the recovery led to a bottleneck, or a reduction in the brachiopod group's variability. That swayed brachiopod evolution and made the order more vulnerable to future environmental changes. "The fact that they didn't have variability left set them up for failure the next time conditions were not favorable," Sclafani said. "It's worth assessing the fossil record to see how many times we get these bottlenecks to see what happened to those orders." The order eventually went extinct in a subsequent mass extinction, the scientists said. Sclafani took existing evolutionary tree information for the brachiopods and used computer models to analyze changes in shell structure among dozens of different groups in the order and to place those changes on a timeline. She then used a statistical randomization analysis to determine if the patterns she found were due to chance, running a thousand simulations to mimic random extinction and recovery. "I found that the extinction was random, but the evolution post-extinction was selective for the things that fell into this group that originated after the boundary," Sclafani said. "Our research indicates that this coincides with a massive reduction in morphological form after the extinction event. In evolutionary biology we call that a bottleneck." Researchers said the study is the first to show a bottleneck caused by selective recovery as opposed to selective extinction. "Treating an extinction interval as separate from its subsequent recovery provides a fundamentally incomplete understanding of its evolutionary consequences," Sclafani said. "This becomes especially problematic when attempting to generalize about how life responds to catastrophic events."